The m.v. ‘Hydra’ is the first unit out of a series of at least ten multi purpose vessels for several captain owners. 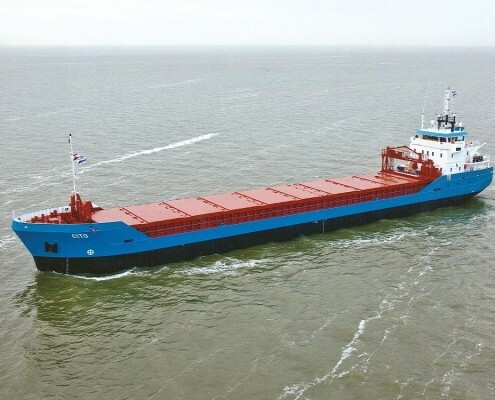 Equipped with a tanktop strength of 20 t/m2, the vessel will be extremely feasible for transport heavy bulk cargoes, but it can also carry other bulk cargoes like timber, paper, coal and grain, as well as containers. 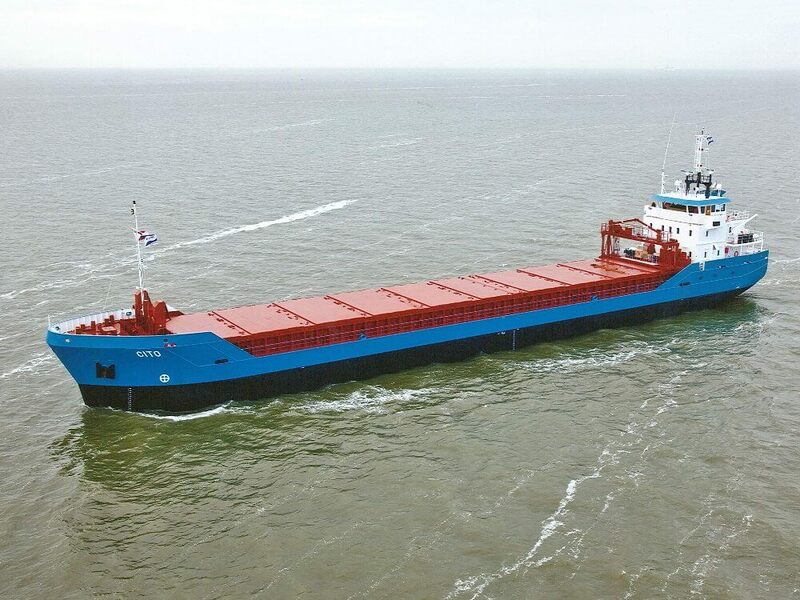 The vessel is designed with pontoon hatches and the hold is equipped with two separation bulkheads, which can be placed at 8 positions. The main engine will run on heavy fuel oil. A modern accommodation with private sanitary is arranged for six crew members.